HTC are expected to announce the new HTC One Mini some time this month. Yesterday HTC started teasing the new One Mini, and now the device has turned up in the Chinese TENAA certification database. 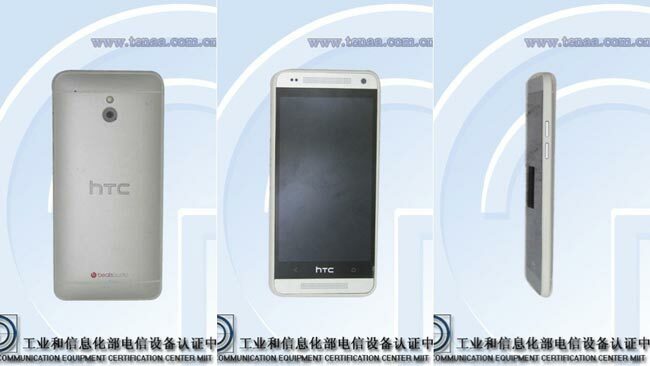 We have already seen a number of leaked photos of the new HTC One Mini, which is s shrunken down version of the popular HTC One. The HTC One Mini is rumored to come with Android 4.2.2 Jelly Bean and will be powered by a quad core 1.4GHz Qualcomm Snapdragon 400 processor, the handset will also come with 1GB of RAM and 16GB of built in storage. The One Mini will also come with a 4.3 inch HD display with a resolution of 1280 x 720 pixels, the handset will also feature front and rear facing cameras. On the front of the One Mini there will be a 1.9 megapixel camera for video calls, on the back there will a HTC Ultrapixel camera.